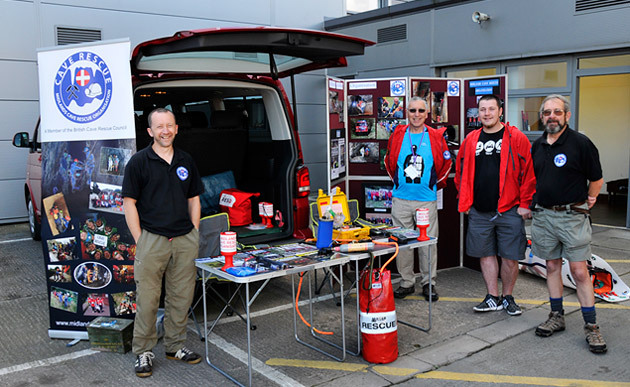 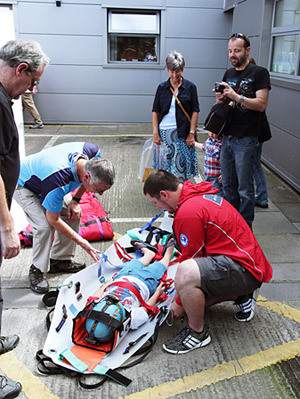 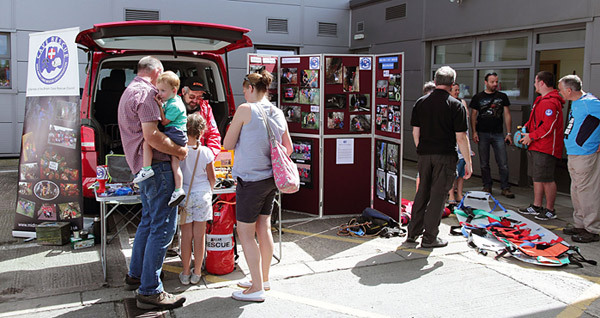 It was a busy and fun day at Shrewsbury Fire Station Open Day on Saturday 6th. 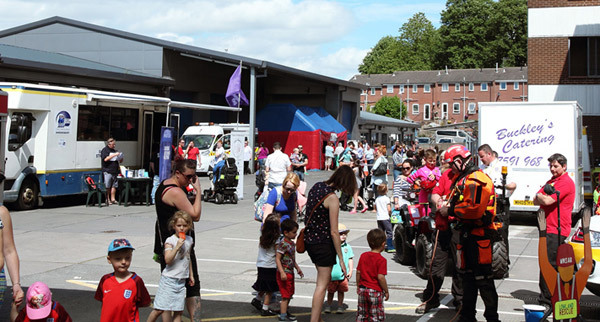 We were also lucky to have a nice sunny day! 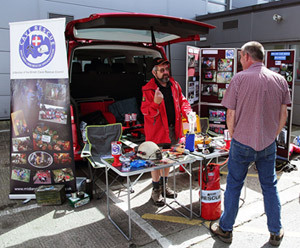 Among the highlights of the demonstrations put on by officers from SFRS Blue Watch was how to deal with the chip pan fires, cutting a casualty out of a car, rescuing a distraught person from a tall building, visits to the Fire Control Centre, plus activities for children - a tour of a smokey inflatable house, hooking ducks from a 'pond', not to mention climbing into fire tenders and displays from Shropshire & Staffordshire Blood Bikes, Shrewsbury Street Pastors, West Midlands SAR and MCRO. 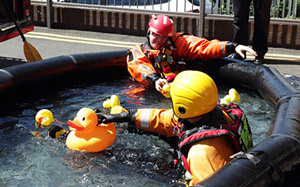 Colleagues from WMSAR showed onlookers the easy way to 'hook' ducks - they also demonstrated how to throw a line to someone in trouble in the water.